mentioned openly in the Bible text must certainly contain some sort of deeper symbolic or significance—they are not in the Bible haphazardly or by chance. What that means is that every number in the Bible—used in a historical and quantitative sense—also contains a deliberate SYMBOLIC function that was designed to express something more. What you're about to see proves that this is indeed the case. 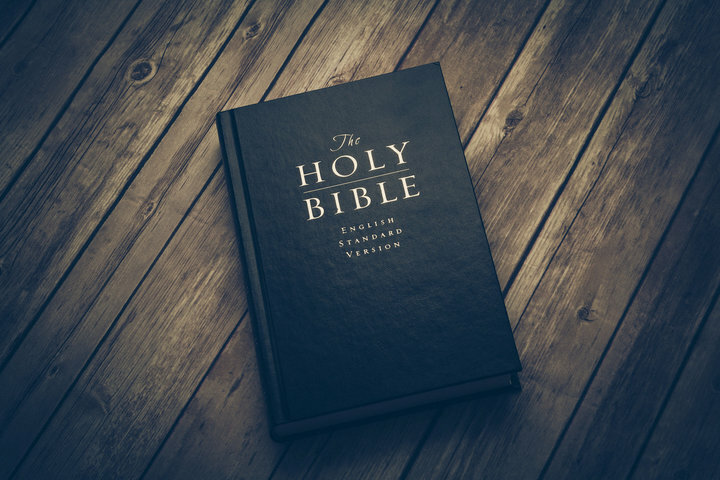 In the Bible, the Old Testament was written in ancient Hebrew and the New Testament in Greek. Now not only does each letter in the Hebrew and Greek alphabets have a standard and fixed number or numeric value attached to it, but this same principle can be applied to words, and even complete thoughts and sentences have number values. God specifically structured the grammar of the Hebrew and Greek languages so that all of the number patterns could fit and flow together! Throughout the Bible, multiple factors and clustering is so consistent in words and phrases, that it boggles the mind. The major fact is that it happens so regularly, as to defy any mathematical odds. In other words, if God did not place this phenomenon into the text, then the numerical values for words and phrases would only produce "random" results. Multiple factors - everything operates on the principle of multiples and multiple structures—based upon prime numbers and various factor combinations. Clustering - is the concept where numbers cluster around these large multiples (falling within the range of one or two numbers surrounding the large multiple factors). Is there perhaps a verse in the Bible that tells us there exists any such phenomenon as multiple factors and clusters? In the book of Revelation, chapter 13, it states, "Here is wisdom. Let him who has understanding calculate the number of the beast, for it is the number of man, and its number is 666" (Rev 13:18). Why would the Bible tell us to do something (such as calculate), if it were not possible? The Author would have to first give us the key or the code if He expected us to carry out His command. disciples go fishing shortly after the resurrection of Jesus. important about this number in a symbolic sense. Why would the number of fishes caught be such a specific and strange number? Why not a nice even round number, like 100 or 150? Why did someone take the time to even count the exact number of fishes in the first place? Why is this number mentioned specifically in the Bible? exhibits some unique and fascinating characteristics, one of which is the fact that all the numbers from 1 to 17 add up to 153. Mark 6:41 äõï é÷èõáò åìåñéóåí ðáóéí"
Luke 5:9 åðé ôç áãñá"
Luke 5:9 ôùí é÷èõùí óõíåëáâïí"
John 21:10 ôùí ïøáñéùí ùí åðéáóáôå"
John 21:8 óõñïíôåò ôï äéêôõïí"
John 21:11 åéëêõóåí äéêôõïí åéò ôçí ãç"
Mat. 4:18 çóáí ãáñ áëååéò"
Listed above are 30 examples. The important thing to realize in all of this, is the fact that here there is a deliberate and inherent structure operating on the 153/170 principle, that occurs way beyond chance expectation or randomness. This can't be disproved by any skeptic, this is undeniable proof for God. The number 150 was shown to have significance relative to the topic of light. The number 150 (along with 100 and 225) literally saturates most all major passages in scripture to do with this topic or concept. Examining the phrase from John 3:19, we find this simple pattern emerge. The probability or mathematical chance of this phrase containing eight multiples of 150, is very unlikely. But that is just the beginning. There are at least a dozen other apparent patterns in this phrase, clustering around other large key numbers. The patterns or phenomenon only appear within the Bible text and in no other work of literature, in any language, ever written (apparently) in the history of mankind. Yet even in the Bible and with the proper numerical values to the letters—the patterns only appear with words and phrases having a common theological meaning or relationship. Anything else only produces randomness. These are simply a sampling among literally thousands of patterns that exist—they have been extracted almost randomly from hundreds of comprehensive studies.